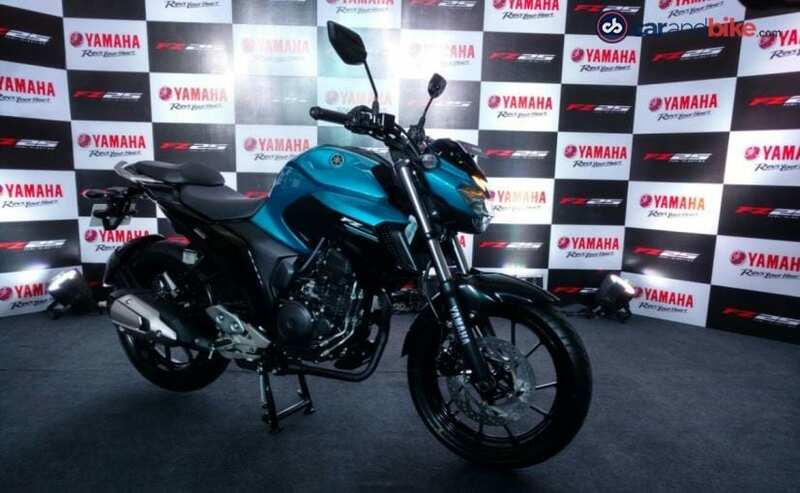 With the launch of the new Yamaha FZ25, the Japanese bike manufacturer fills the void that Yamaha India had left in the quarter litre performance bike space. Its an all-new naked street-fighter from the Japanese marque for India and the company has priced it very competitively at ₹ 1.19 lakh (ex-showroom, Delhi). Currently the bike is the most affordable 250 cc motorcycle in India and marks Yamaha’s concentration back to the performance space. While was mum about its all-new offering for a while now, but we have all the answers now and here’s everything you need to know about the all-new Yamaha FZ25. The new Yamaha FZ25 expands the FZ line-up further in India. The range that currently has only 150 cc offerings, now gets a much more powerful and premium FZ25 with a bigger engine, better styling and features as well. The bike is underpinned by the same Diamond tube frame seen on smaller Yamaha motorcycles and has already proven to be agile. 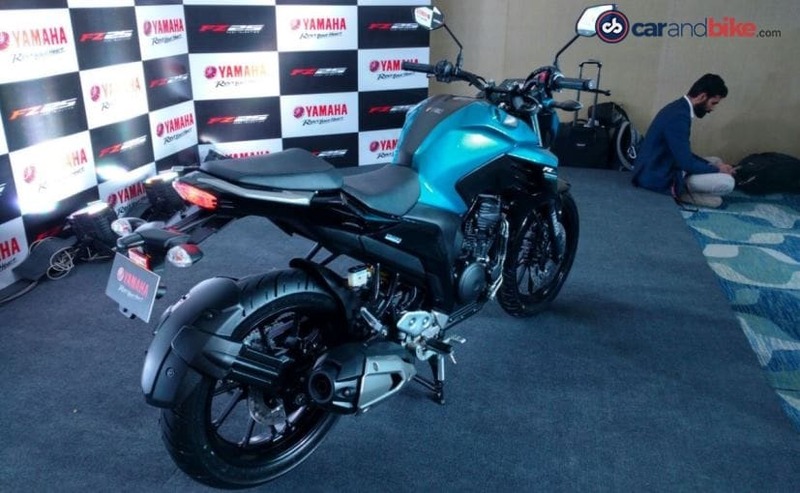 The Yamaha FZ 25 is a large bike in the bike maker’s stable and gets dimensions of a similar nature too. The big FZ measures 2015 mm in length, 770 mm in width with a height measuring 1075 mm. The wheelbase stands at 1360 mm, while the ground clearance is 160 mm. The FZ25 will also appeal to those who are vertically challenged with a low seat height of 795 mm, while a decent fuel tank capacity of 14 litres makes ready for long tours. The turning radius stands at 2.5 metres and the kerb weight stands at 148 kg. Speaking about the styling, the Yamaha FZ25 builds on the masculine design of the FZ series. The fuel tank takes most attention with the bulbous profile and gets air shrouds added to either side, much like the MT-03. The machismo appeal is further accentuated with the low-slung headlamp cluster and wide handlebar that lend the rider a more dominant seating posture. The bike also boasts of sporty split seats, aluminium grab bars for the pillion; a midship exhaust and fully digital instrument console. Yamaha says it is targeting young customers with the new FZ25 in the age group of 20-30 years. The company is looking largely at an urban demographic that wants a bike to commute among other requirements and wants to look good while doing so. That’s where the machismo styling comes into place. 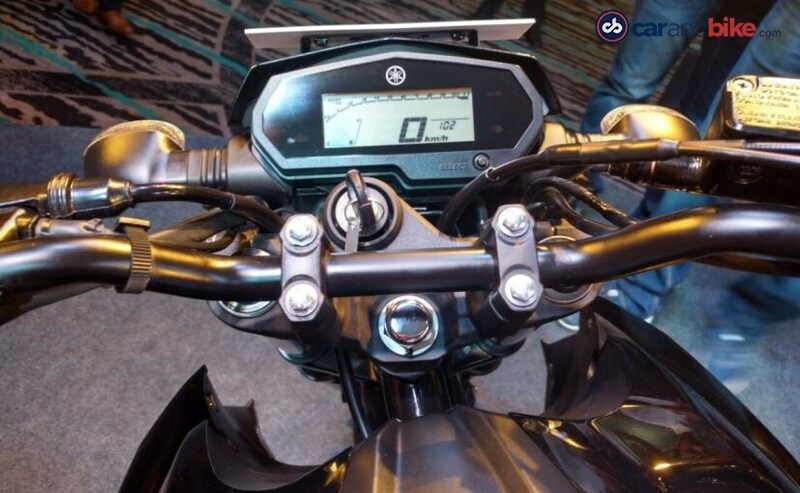 Yamaha has introduced an interesting set of features on the FZ25. The sports bike is the first 250 cc model to get full LED headlamps, apart from LED tail lights. The LCD instrument console is loaded with info including two trip meters, fuel reserve trip meter, real time fuel economy, average fuel economy figure, clock in addition to the usual signs. The bike also comes with Auto Headlamp On (AHO) function, ahead of the Indian government’s rule to make it as standard on all bikes starting from 1st April 2017. Power on the Yamaha FZ25 comes from the 249 cc single-cylinder, oil-cooled, fuel-injected engine tuned to produce 20.06 bhp of power at 8000 rpm and 20 Nm of torque at 6000 rpm. The motor comes mated to a 5-speed gearbox. Yamaha says the engine has been tweaked for Indian traffic environment. The quarter-litre motor is tuned to provide improved low-end acceleration, while the fuel injection tech along with optimised gear ratios help achieve a claimed fuel efficiency of 43 kmpl. A lot of components on the Yamaha FZ25 come from the existing parts bin of the manufacturer. The bike gets telescopic front forks with 130 mm suspension travel and a monoshock setup at the rear with 120 mm travel. Braking performance comes from 282 mm front and 257 mm rear disc brakes. As disappointing as it gets, Yamaha has completely missed Anti-Lock Brakes (ABS) on the FZ25. The 200-250 cc performance motorcycle segment is a tough space to be in and please at the same and Yamaha is going to find it difficult to create a niche for itself. That said, at least half battle is won for the bike maker with a strong styling and tempting price tag. But, the competition is certainly aggressive and established including the likes of the TVS Apache RTR 200 4V, Honda CBR250R, Bajaj Pulsar NS200 and the likes. On the premium end, the bike also locks horns with the KTM 200 Duke and Benelli TNT 25 among other offerings. 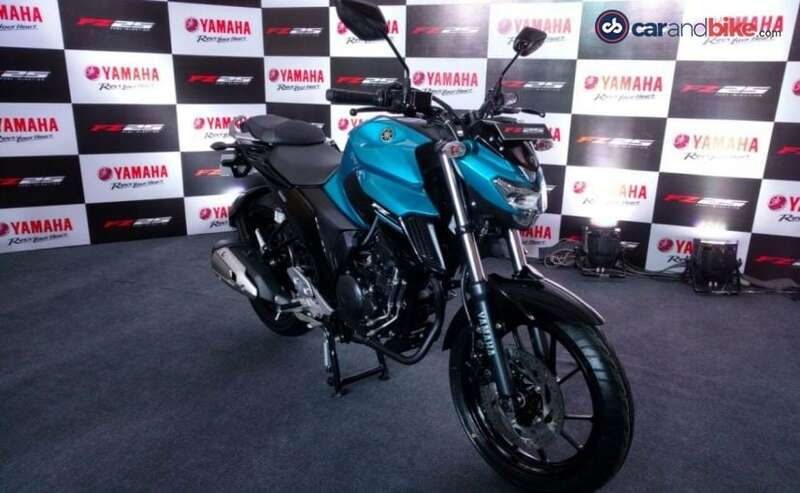 The Yamaha FZ25 is priced at a competitive ₹ 1,19,500 (ex-showroom, Delhi). The pricing is clearly set to offer the FZ16 customer just the right breathing space. This also narrows the gap between the R15 V2.0 and R3 in Yamaha’s model range, even though the R15 and FZ25 are more or less evenly priced. Given the better seating position, improved power output and better features, a lot of R15 customers would also want to convert to the FZ25, largely because it offers to do much more than just focused riding, which the R15 is brilliant at. Bookings at dealerships have commenced and the model will be available and deliveries for the all-new Yamaha FZ 25 will commence from 1st February across the country.